Can y'all even believe that The Barn has been open and hosting gorgeous weddings for FIVE years now?! We can hardly believe it, too! 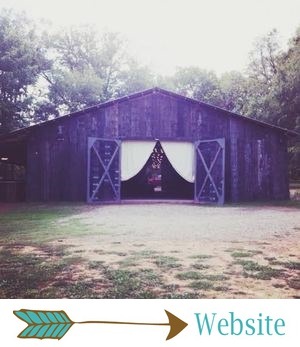 If you're a new follower of The Barn, you've missed out on more amazing, unique weddings than we could count! I've been looking back on the many, many fabulous weddings I've blogged and thinking about how I don't want any of our newer readers to miss out on the endless amount of wedding inspiration that can be found in our past weddings and events. So every once in a while, we're going to look back at photo galleries of some of our gorgeous couples and the most unforgettable details and moments from their big days, starting with three of my absolute favorite July weddings we've ever done! If you're a future Barn Bride (or Barn Groom! ), right now is the perfect time to book your upcoming wedding at The Barn! There are still elopement dates available in 2017, and we're also booking full, all-inclusive weddings and receptions for 2018 and 2019! Megan and Daniel's wedding, which was photographed by Andrew Arceri, had a peach and mint color palette and some seriously stunning peach and coral bouquets and florals. Their details included lace accents, wire sconces, mason jars and other rustic chic elements. Their altar was simple, but it was one of the most stunning ones we've ever done - it was draped in full, beautiful organza and included large peach and coral floral arrangements. Other details we still adore: sweet paper fans (a necessity for July ceremonies! ), a colorful candy buffet, and Megan's stunning bridal gown! Kelby and John Max's wedding (photos by Tryston Hines Photography) was full of pastels and shabby, rustic chic details. It was full of the sweetest summery details! 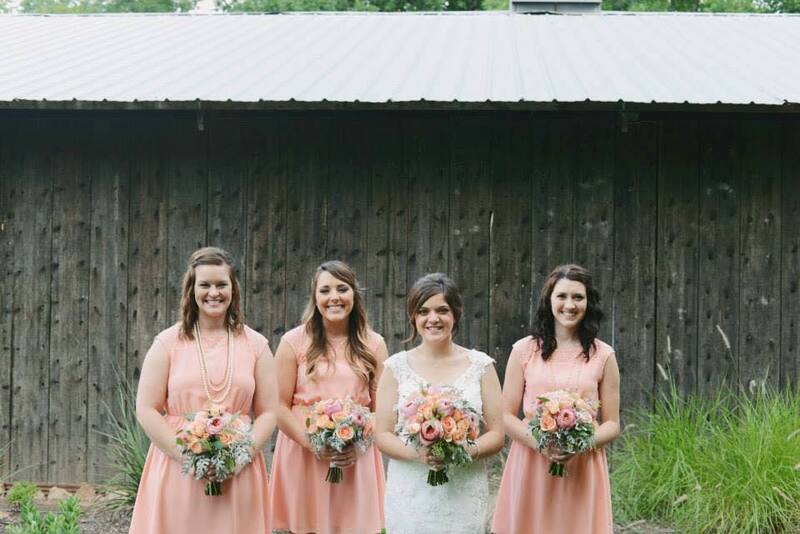 We loved the use of color in this wedding, from the florals to the pastel bridesmaids' dresses. Their altar and ceremony details were shabby chic and a little bit whimsical, and their beautiful reception tables were rustic-meets-garden-party. They had the prettiest little wedding cake and cupcakes, and they even did an awesome floating lantern release before heading off on their honeymoon! 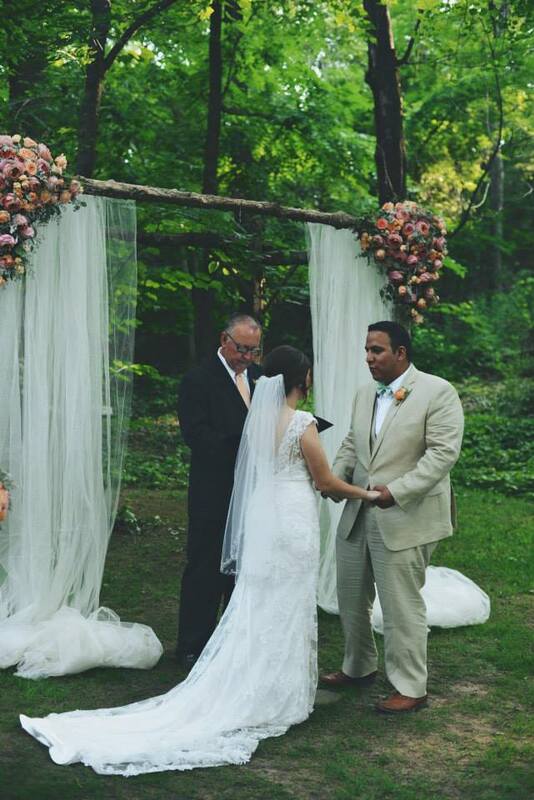 Megan and Jonathan's wedding (also captured by Tryston Hines Photography) was the perfect rustic chic, pink summer wedding! Their details were fun and feminine - lace, mason jars, burlap, and all the other rustic chic essentials! We're forever gonna love their pink and white florals, lace altar, and Megan's bouquet, which was a combination of pink and white flowers and antique brooches. They brought along their little pup Megpie, and she was the best detail! If you're into rustic details with loads of pretty pink, this is your dream wedding!